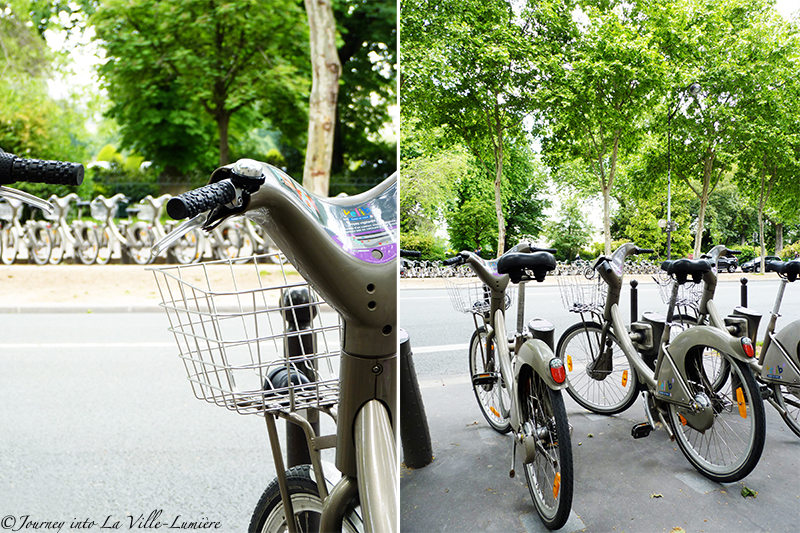 EN: Yesterday was very special, firstly because I received my Velib passion membership card (something I'm very excited about), finally I can start cycling around the streets of Paris. It now takes me exactly 15 minutes to get to work and it reminds me of one hour on the train to get to work in London. And secondly, yesterday I celebrated two beautiful years with someone who has completely changed my life and is the only reason I moved to Paris. My "French story" began here. Our celebration/date was simple but perfect. We walked around Paris for a while talking about everything and nothing heading towards our favourite sushi restaurant for a nice meal. It was dark and chilly outside when we left the place but we didn't want to go home yet so decided to celebrate not only our anniversary but also my first Velib day (doesn't sound romantic I know, but it was actually the best part of the night - so much for my romantic side :) Cycling at night in Paris, The City of Lights, was like in a movie. We looked at each other, our eyes locked together and in that moment....oh boy... I could fell the love in every inch of my body. 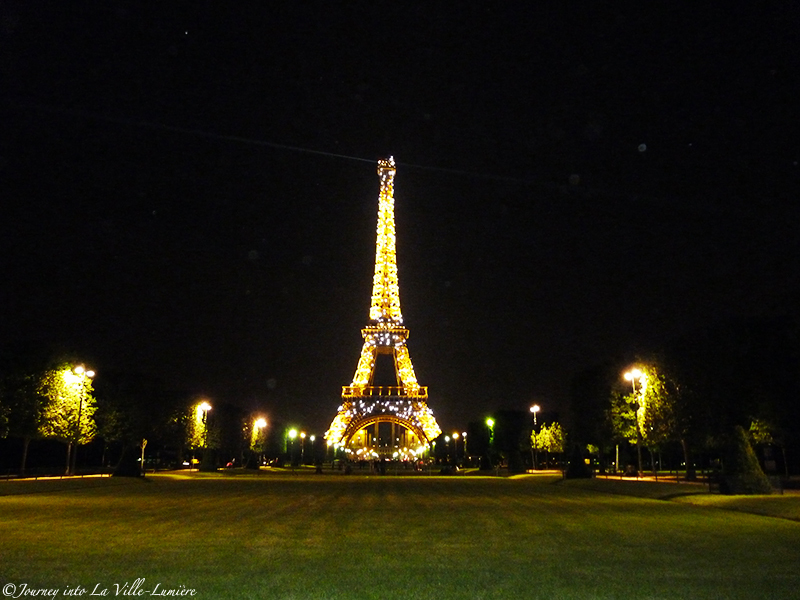 We cycled towards the Eiffel tower and arrived just in time for the midnight show, breathtaking! Love embrace while having the best view in the world? ... that's what I call a perfect date. SK: Vcerajsok bol velmi specialny, jednak preto, ze som dostala svoju Velib clensku kartu (comu sa nesmierne tesim), mozem zacat jazdit na bicykli po uliciach Pariza. Teraz mi bude trvat iba 15 minut na bickykli dostat sa do prace (pripomina mi to jednu hodinu vo vlaku dostat sa do prace v Londyne). A za druhe, vcera som oslavila dva krasne roky s niekym, kto uplne zmenil moj zivot a je aj jedinym dovodom, preco som sa prestahovala do Pariza. Moj "Francuzsky pribeh" sa zacal tu. Nasa oslava/rande bola jednoducha, ale perfektna. Na chvilu sme sa poprechadzali po Parizi a rozpravali sme sa o vsetkom moznom smerujuc do oblubenej sushi restauracie na vyborne jedlo. Uz bola vonku tma a chladno, ked sme opustili restauraciu, ale nechcelo sa nam ist este domov, tak sme sa rozhodoli oslavit nielen nase vyrocie, ale aj moj prvy Velib den (neznie to velmi romanticky ja viem, ale nakoniec to bolo to najlepsie na celom vecery - tolko moja romanticka povaha :) Jazda na bicykli v nocnom Parizi, meste svetiel bola fantasticka, ako z filmu. Ked sme sa na seba pozreli a nase pohladi sa stretli....pani, citila som lasku v kazduckom centimetri svojho tela. Bicyklovali sme az ku Eiffelovej vezi a dorazili prave vcas na polnocnu show, dychvyrazajuce! Milujuce objatie v spojeni s najlepsim vyhladom na svete? ... tomu sa hovori perfektne rande. love it! perfectly fun and romantic!